Click here to register by May 8! 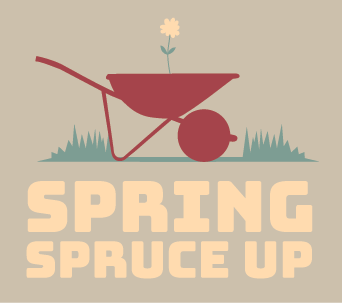 Join your neighbors for our new Spring Spruce Up event to beautify our neighborhood and ensure accessibility for all. We invite Tangletown residents to clean and beautify their sidewalks and boulevards as a community on May 11th and 12th. We are almost certain Spring will have arrived, so get outside and say “Hello” to the neighbors you haven’t seen all winter! Register by May 8th and let’s start an annual community event that benefits everyone! We’re grateful to Tangletown Gardens who is sponsoring this first time event. Not only are they donating awesome prizes for our Spring Spruce Up Contest (see more details below), they’ll also be available to answer all your gardening questions. Stop by our table at Tangletown Gardens (5353 Nicollet Ave S) from 10am-2pm on Saturday May 11 to pick up Tangletown swag, informational resources, yard waste bags, and consult the gardening experts. We’ve partnered with the city’s All Together Now initiative which is sponsored by the Department of Regulatory Services to offer extra trash collection at Fuller Park on May 11 from 10am-12pm and discounts to local businesses to get your home improvement projects started. Find out about participating businesses here. Submit your before and after pictures to enter a prize drawing for a $50 gift card to Tangletown Gardens, $50 gift card to Wise Acre or a $50 value gardening supplies basket! Not able to complete your work May 11 and 12? Don’t worry! Before and after pictures aren’t due until June 16! Email your pictures to info@tangletown.org for a chance to win!